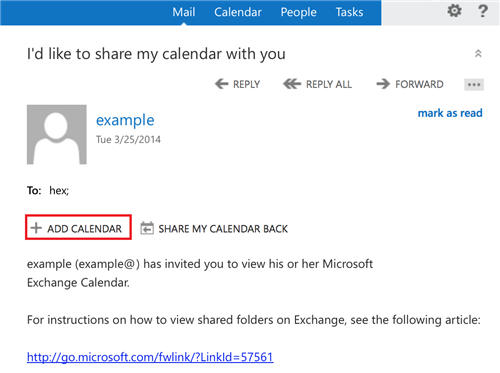 If you have an Exchange 2013 mailbox you can use Outlook Web Access to share your calendar with anyone inside your organization. When you share your calendar with someone inside your organisation they will be able to add it directly to their calendar view in Outlook or the OWA. 2. 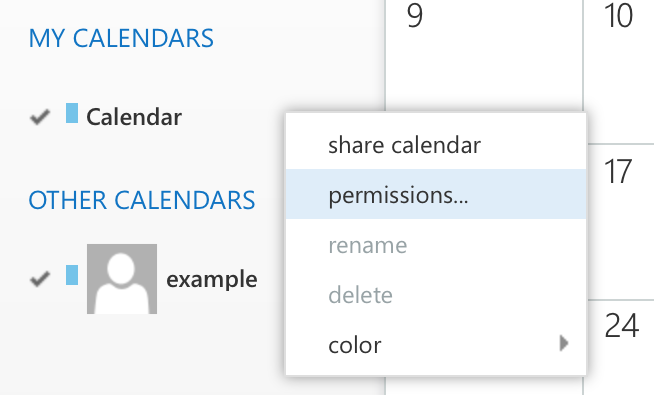 Start by typing the name or email address of the person you want to share your calendar with in the Share with box. 3. After you have added who you want to share this calendar with you will then be prompted to select what information you want them to see. Full details will show the time, subject, location, and other details of all items in your calendar. Limited details will show the time, subject, and location, but no other details. Availability only will show only the time of items on your calendar. 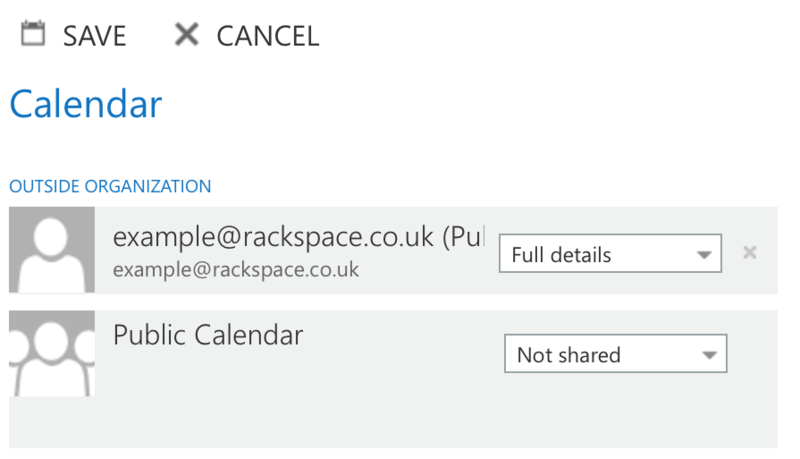 Note: By default, your primary calendar will be shared under the Calendar box. If you have created other calendars, you can select one of them to share instead by using the drop-down box. 4. After you have finished adding people to share with, setting their access levels, and choosing which calendar to share with them, select Send. Each person in your organization that you shared your calendar with will receive an email almost immediately informing them that you’ve shared your calendar with them. People inside your organization will have two buttons on the invitation – one to add your calendar to their calendar view, and another to share their calendar with you. You can alter permissions you have set for a calendar or remove them completely by first going to the calendar navigation pane and locate the calendar name under My calendars. Right-click the calendar you would like to un-share or simply review the permissions for - Simply click on Permissions. 2. To halt the sharing of your calendar with a person you previously shared this with then simply find the person you want to change permissions for and either choose a new level of permissions or select the delete icon X to remove these permissions. 3. Click the Save button to save these changes. Note: Its important to take into consideration when you delete a user from the list of people you’ve shared your calendar with, the email calendar sharing URL that was sent to them will simply cease to work.